In lieutenant governor candidate Dan Patrick’s self portrait, he is a Christian first, a conservative second and a Republican third. The one notable descriptive omission is the geographic boundary that binds the Texas electorate: “Texan.” Despite what often feels like a statewide embrace of “Texas exceptionalism,” many here appear to eschew what others practically deem a birthright: the ability to call oneself a Texan. If polling data is any indication, the proportion of Texas voters who view themselves as Texans is smaller than one might think, but is likely to grow in the coming decades. In the February 2014 University of Texas/Texas Tribune Poll, we asked respondents whether they considered themselves Texans first and Americans second, or Americans first and Texans second. Overall, just over a quarter of registered voters — 27 percent — considered themselves to be Texans first. Democrats and liberals overwhelmingly identify as Americans before they identify as Texans (84 percent and 92 percent respectively), and while majorities of Republicans and conservatives identify as Americans first, significant proportions (35 percent and 36 percent respectively) identify first as Texans. This difference is a probable reflection of the current Republican statewide dominance and, in turn, each voter’s willingness to identify with the state. The Texas-first crowd also includes more men than women. While 32 percent of men describe themselves as Texans first, only 23 percent of women make the same choice. Looking to the future, it’s possible that those identifying as Texans will grow. The members of the racial/ethnic group most likely to describe themselves as Texans first are not, in fact, Anglos, among whom 27 percent describe themselves as Texans, but are instead the growing population of Hispanics, among whom 33 percent identify as Texan first. Maybe even more surprising, younger voters are more inclined to call themselves Texans first. A slight majority of those who identify as Texans first are between the ages of 18 and 44 years old. Among 18- to 29-year-olds, 40 percent identify as Texans before they identify as Americans, far outpacing any other age group. It’s not grandpa that places the Lone Star over the Stars and Stripes, but his grandchildren. Texas already has a regular front-row seat in the fight over federal-state power, and Texans generally consider their government to be a model for other states to follow. 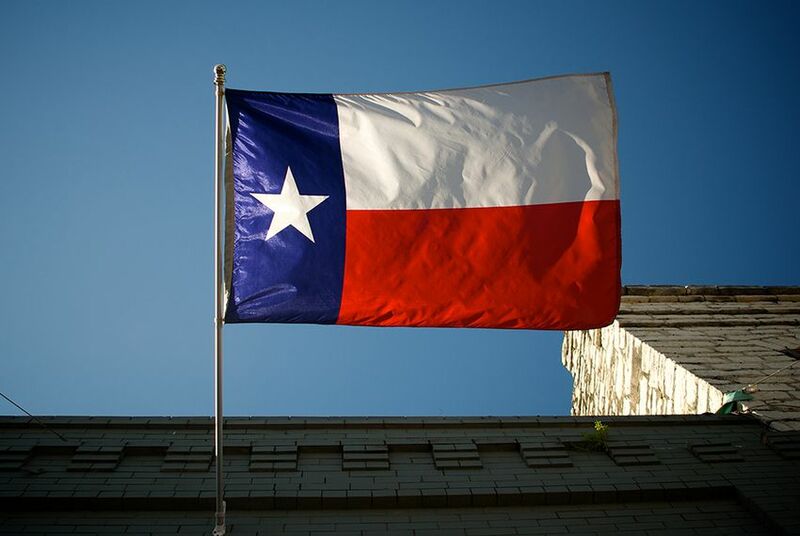 While it might be convenient to believe that the most Texan people in Texas are distributed around the VA halls, Elks Lodges and Rotary Clubs in the state’s far-flung locales, it turns out that those willing to place their Texas identity above their national identity are actually part of Texas’ emerging majority of young and Hispanic voters. *Editor's Note: An earlier version of this article mistakenly reported a percentage of 18- to 44-year-olds considering themselves to be Texans first as a group mean. It should have been reported as the mean of those who identify as Texans.